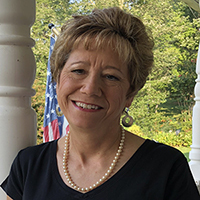 Alison is a New Jersey girl who lives in a small town in North Carolina with her husband, Bob, of 36 years and two extremely spoiled Pugs, Moose and Beau. Since she has spent more than half of her life in NC, she also considers herself a North Carolinian. Alison has a son, Travis Schuster and a daughter, Blair Moore. Their family has grown from four to eight with the additions of a son-in-love, Alex, and daughter-in-love, Tia. They are gifts from the Lord that are treasured close to their hearts. Being Nina and Pop-Pop to their beloved granddaughter, Payton Lenore, and grandson, Maverick, is a sheer delight and they have the awesome privilege to pour Jesus into their young lives on a daily basis. For over 25 years, Alison has taught people how to study the Bible using the inductive Bible study method. She has led 75+ how to study the Bible seminars in North Carolina for Precept Ministries International. Bible study is her passion! Sharing the “how to’s” of inductive Bible study and teaching God’s Word is where the Lord has called her to serve in the body of Christ. In 2008, Alison began to feel the call to Online ministry. After editing an Online Newsletter for a large online community, her husband encouraged her to do what she did best…teach people how to study God’s Word online at Beloved Truth. Through this venue she teaches through Podcasts, writes free inductive Bible Studies, blogs, and more. Behind the scenes, Alison designs and maintains the BTI website and works alongside the BTI Team in sharing the gospel around the world through the online study of God’s Word!